Cataract patient Marisia Daurewa Vusonilawe, 71, booked the first available flight from Vanuatu when she first heard that the Chinese hospital ship Ark Peace was coming to Fiji. She arrived in Fiji on July 29, two days before the Ark Peace berthed at the Port of Suva. Yesterday she underwent a successful surgery on the ship and expressed her heartfelt gratitude to the Ark Peace crew. Following her surgery Mrs Vusonilawe, a teacher who has been working in Vanuatu for the past five years, said she no longer needed spectacles to see clearly. “My treatment here has been a very unforgettable experience. The eye doctors were honest, sincere and quite compassionate,” she said. She said she had no regrets for her decision to come to Fiji. 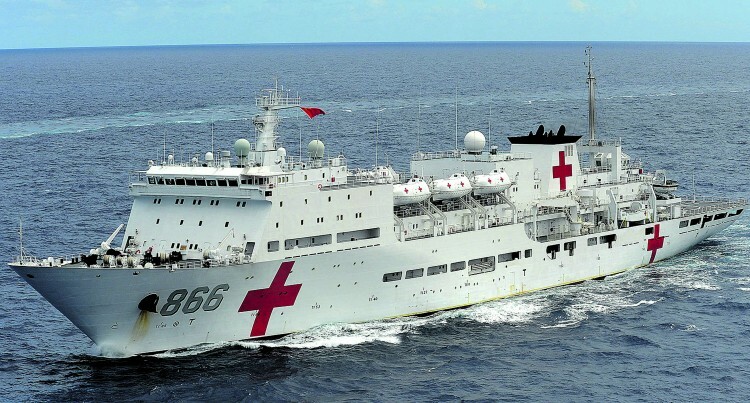 Medical personnel on the Chinese Ark Peace Hospital Ship have treated a total of 5909 Fijian patients since their arrival in the country last week (August 2, 2018). They have conducted 30 surgical operations on board, 2876 axillary examinations and sent three medical teams to health centres in Lami, Makoi and Raiwaqa. A team of 10 medical personnel comprising experts from internal medicine, dental, surgery, Ophthalmology and ultra sound were sent to Vatulele Island yesterday by helicopter as part of their joint treatment and diagnosis to meet the medical needs of local communities. The Ark Peace will wrap up its visit to Fiji today and will leave for Tonga tomorrow.